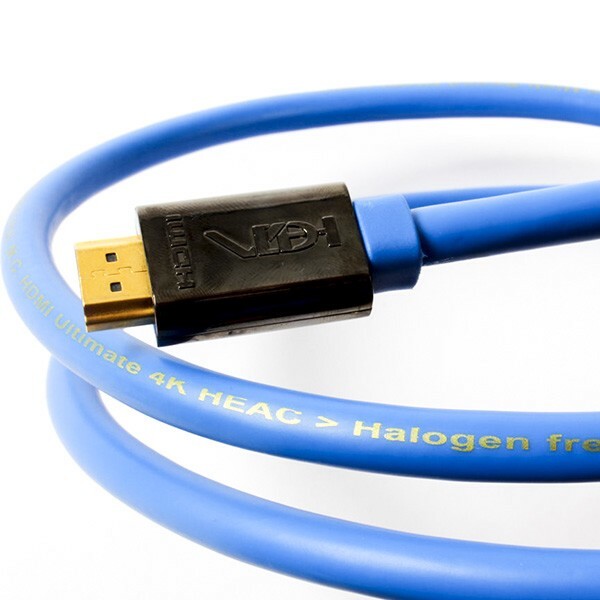 The VDH HDMI Ultimate 4K HEAC provides unparalleled added value in terms of signal transport quality and fidelity. Fully compliant with the HDMI™ High Speed & Ethernet(v2.0) specification for lengths up to 15.0 meter. Supports display modes/resolutions up to and including 3840x2160/60Hz; warranted for lengths up to 15.0 meter. High-quality HDMI ‘Type A’ metal connectors with heavy gold plated contacts provide solid and reliable connections. High-density Silver plated Oxygen Free Copper conductors warrant minimum signal attenuation. In addition to the cable's Hulliflex ® jacket, the special extra coating of the internal conductors adds extra protection against aggressive environmental conditions. 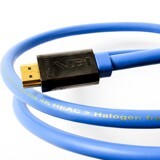 The VDH HDMI Ultimate 4K HEAC blue colored jacket is made of our robust, halogen free, Hulliflex®. Hulliflex ® provides long term stability of the cable’s mechanical and electrical properties. It is for instance chemically sealed, protecting the leads inside from external influences. It is also environmentally friendly, both in production and during its use, as well as after many years of service: Even after disposal it can be burned in an incinerator without producing harmful gasses or toxic waste. We wish you many years of pleasure after installation. Available in a wide range of lengths: 1, 1.5, 2, 3, 5, 7.5, 10, 12,5 and 15 meters.